Update: CCSS alignment and additional teacher instructions added! 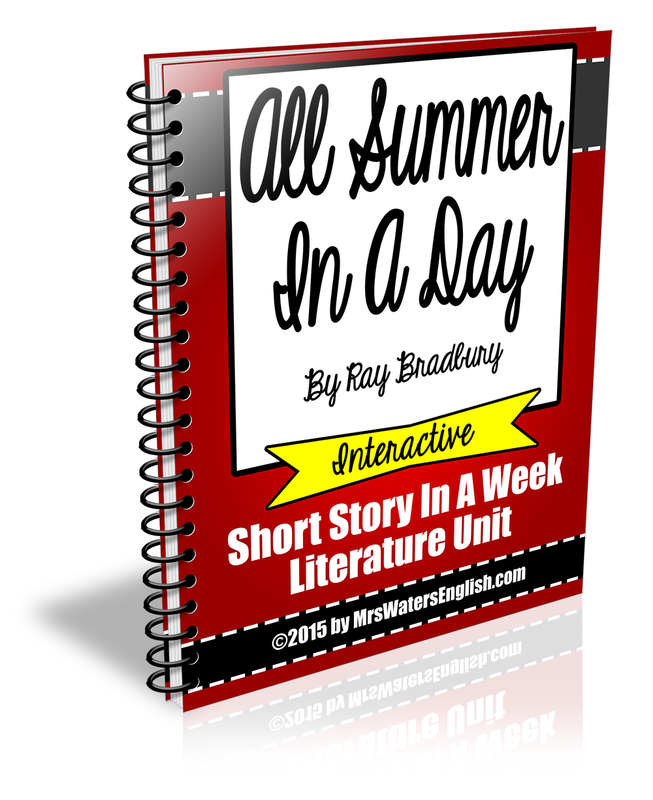 Are you wanting to bring Ray Bradbury’s “All Summer in a Day” alive for your students? 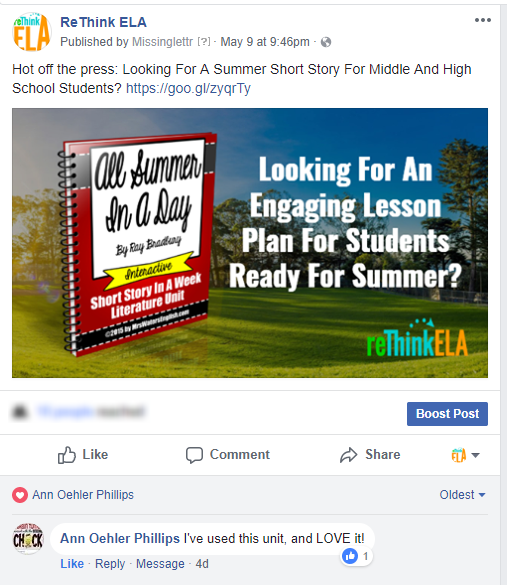 Go beyond just recognizing the elements of story and really delve into the meaning of the story — and how it’s relevant to students today. This unit contains everything you need to guide students through reading the story, responding to daily essential questions, planning and writing a culminating essay the encourages students to take a stand and back it up with information from the short story, non-fiction texts, video, and poetry. 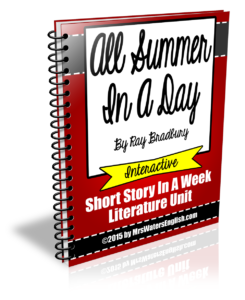 “All Summer in a Day” by Ray Bradbury: Link to full text of the story. 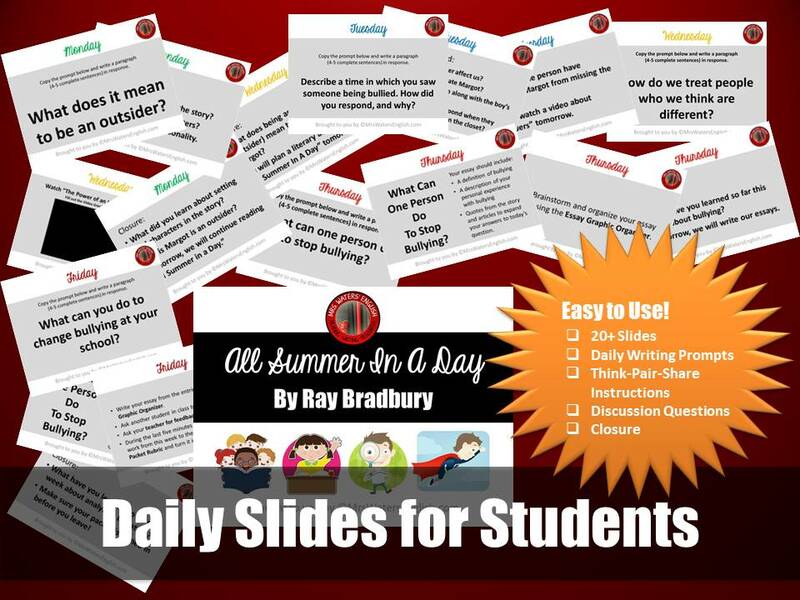 “All Summer in a Day” Daily Presentation: A complete set of slides for each day, including a writing prompt, think/pair/share activity, comprehension questions, and closing discussion prompts. Short Story Week-At-A-Glance Calendar: Your week has already been planned for you! Just print out the page and hand it to your principal, or keep it on your desk for easy reference. 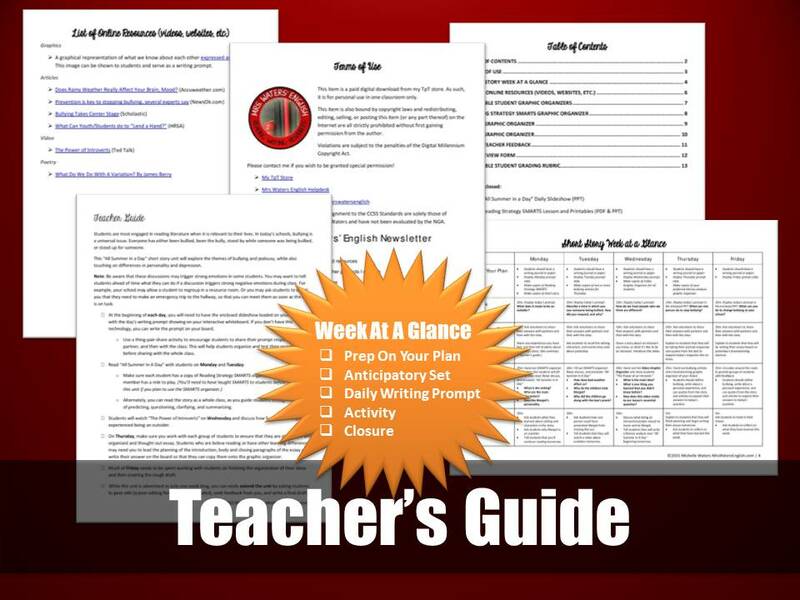 Includes Prep-On-Your-Plan task list, daily writing prompt for bellwork, anticipatory discussion topics, activity notes for each day, and recommendations for closure. Common Core State Standards Alignment: This unit has been aligned day-by-day to the CCSS. Recommended Online Resources: You’ll receive a list of nonfiction articles, and a relevant graphic, video and poem. Students can refer to each of these resources in the culminating essay project. 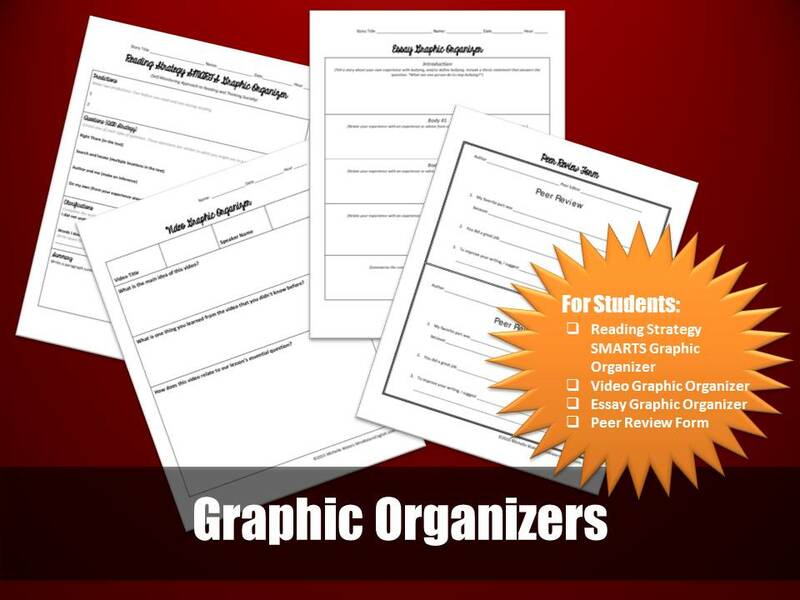 Video Graphic Organizer: Students pay much more attention during a video when they’re listening for information. Check for understanding and provide a participation grade! Essay Graphic Organizer: Students use this sheet to organize the information they’ll include in their essays. Teacher Feedback Form: Stop taking home tons of essays to grade that students will toss in the trash on the way out. Give them feedback and action steps right in class. You’ll grade the papers after students have implemented your editing suggestions and completed their best work. Peer Review Forms: Get your English loving students on board with peer reviewing! These easy-to-fill-out forms encourage constructive criticism. 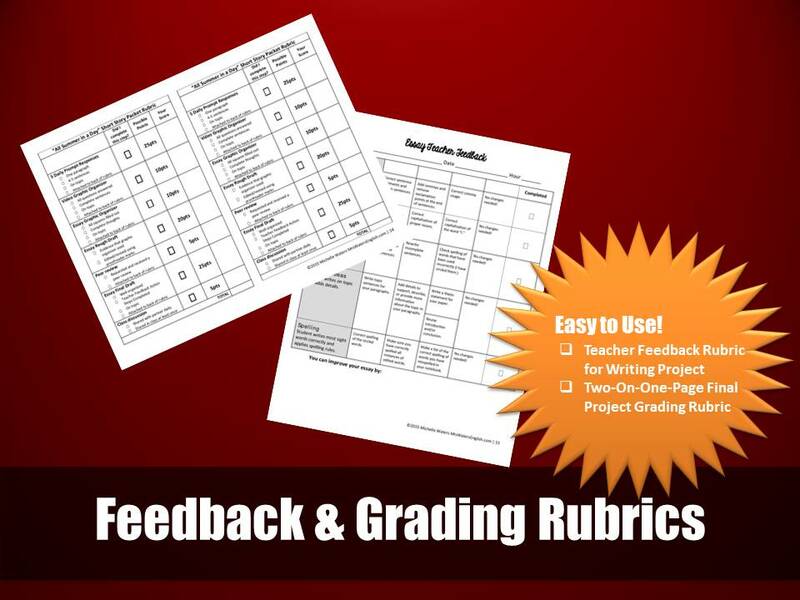 Final Project Grading Rubric: You’ve already done the hard part. Students use the rubric as a checklist to make sure they have all the pieces of their project, staple it together, and turn it in. You simply grade them on the hard work they’ve already done. 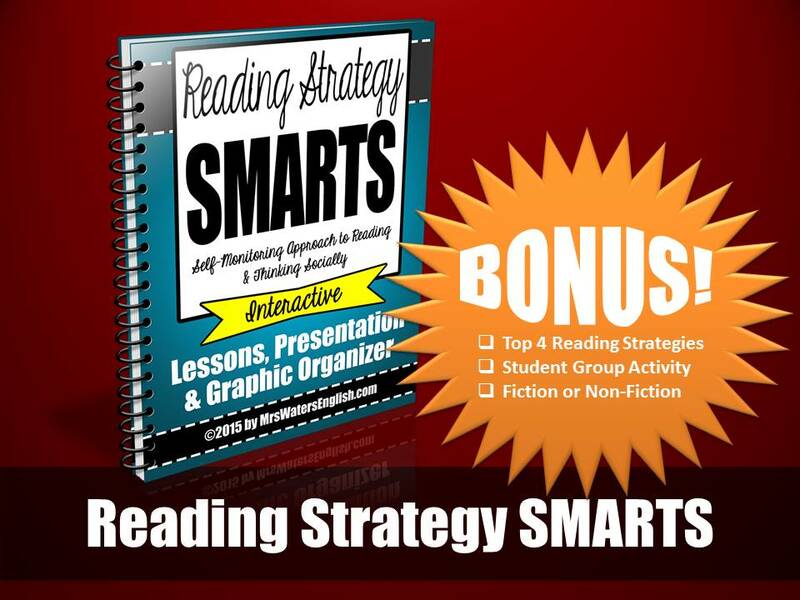 Reading Strategy SMARTS Unit Included: Encourage your students to make predictions, ask great questions, summarize their texts and clear up any misunderstandings when they’re reading. Even better, students can work together in groups of up to two for better comprehension — and more fun! that will keep your students learning all week long? This is easily one of the best purchases I have made on Teacher’s Pay Teachers. I am a Gifted and Talented resource teacher for Elementary students and I cannot tell you how hard it is to find ELA units that are interesting and challenging to my 4th/5th grade groups! A lot of them griped when the story started, but really dug into half way in. I used this as an opening Unit for the year and we are combining it with a project to develop an anti-bullying program for our school. The articles and videos suggested really helped the students dive into the story on a much deeper level. Excellent resource!